The Government of India (February 2016) had decided to jump the Bharat Stage (BS)-V emissions and move straight to the BS-VI norms by April 2020, four years ahead of its earlier schedule. While technology doesn't seems to be a major issue, the short span of time and cost-effectiveness might be a key challenge for Operational Equipment Manufacturers (OEMs) to overcome while adopting the BS-VI norms by 2020. The BS-VI norms would mean an increment in the prices of diesel vehicles, due to introduction of additional components on them. Thereby, OEMs with higher dependence on diesel models would shift their focus on petrol variants, while their R&D plans would have hybrids and other cleaner fuels on their centre stage. The requirement of additional components for diesel vehicles would expand the price gap between diesel and petrol vehicles. The recent ban on registration of diesel vehicles in the National Capital Region (NCR) along with the potential restrictions of diesel-powered taxis would slow down the investments being made by OEMs. The utility vehicle segment is expected to incur advancements on their petrol variants than their tried-and-tested diesel ones because of the additional expenses that OEMs would like to avoid. "At present, two/three wheelers in India follow BS-III emission norms, which are expected to move to BS-IV by April 2017," says Subrata Ray, ICRA ratings. "The government has proposed that even two/three wheelers will also move to BS-VI by April 2020. Our interaction with OEMs and component manufacturers suggest that while there won't be significant changes in engine or after treatment systems to meet BS-IV norms, for BS-VI standards, the industry will have to adopt Electronic Fuel Injection (EFI) system and also tweak the exhaust system. Collectively, these changes will increase cost of two wheelers by approximately Rs. 5,000-6,000 (or 10 per cent for mid-size motorcycle)." 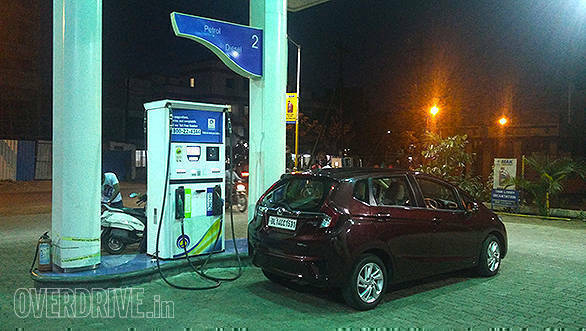 Potential petrol vehicle buyers would be looking for an additional Rs 20,000  Rs 30,000 bigger hole in their pockets while the increase in cost of diesel passenger vehicle would sum up to Rs 75,000  Rs 1,00,000 per vehicle.